Reading books to my son is a wonderful bonding moment that we both cherish. I especially enjoy reading him those heartwarming books that talk about the special relationship between a child and his or her mother and father. There's just something about sharing these types of stories that makes our snuggle time reading sessions extra special. This is especially the case with our two newest books by Bonnie Rickner Jensen, God loves Mommy and Me and God loves Daddy and Me. Bonnie Rickner Jensen is a bestselling author who for the past 20 years has written everything from children’s books to gift books to thousands of greeting cards. 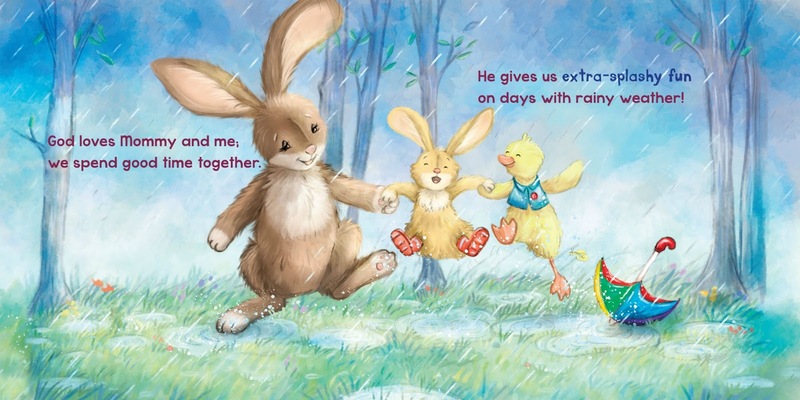 She is the writer behind the bestselling Really Woolly® brand, with nearly 1 million books sold and an ECPA Gold Award–winning Really Woolly Bedtime Prayers. Bonnie has won a Retailer’s Choice Award for her book I Love You Head to Toe and also several Louie Awards for her work in the social expression industry. Her favorite inspirations are her grandchildren, running, and sunshine. She lives and works from her home in Cleveland, Ohio. 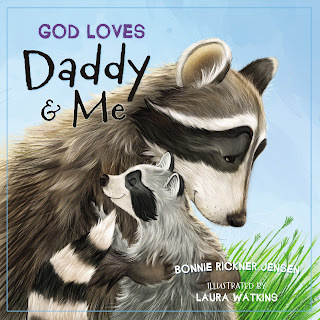 God Loves Mommy and Me and God Loves Daddy and Me offer a precious reminder to children and their parents on just how much God loves them and how He's blessed them with a special connection with each other. 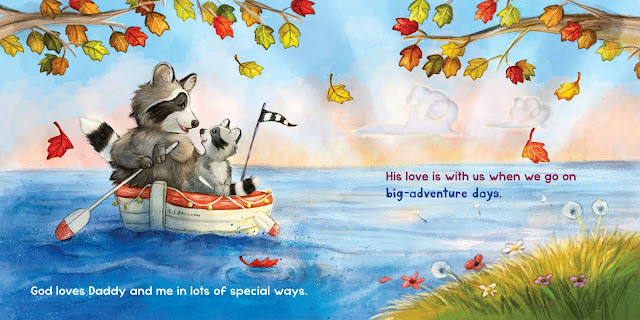 In God Loves Daddy and Me we follow around a father raccoon and his child as they go about their day having fun and enjoying each other's company. 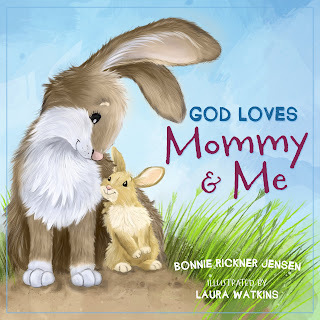 God Loves Mommy and Me follows the same theme, only this time with a mother bunny and her child. Both books have sturdy board book pages and a padded hardcover, making them perfect for children of all ages, even the youngest ones. The illustrations are a delight to my son, since he not only enjoys the animals, but also the vibrant colors displayed on each page. God Loves Mommy and Me and God Loves Daddy and Me have been such a joy to add to our quiet snuggle up moments on the couch and even right before bedtime. Each story offers a sweet tone with rhyming prose, all while sharing how strong the love between a parent and child can be. 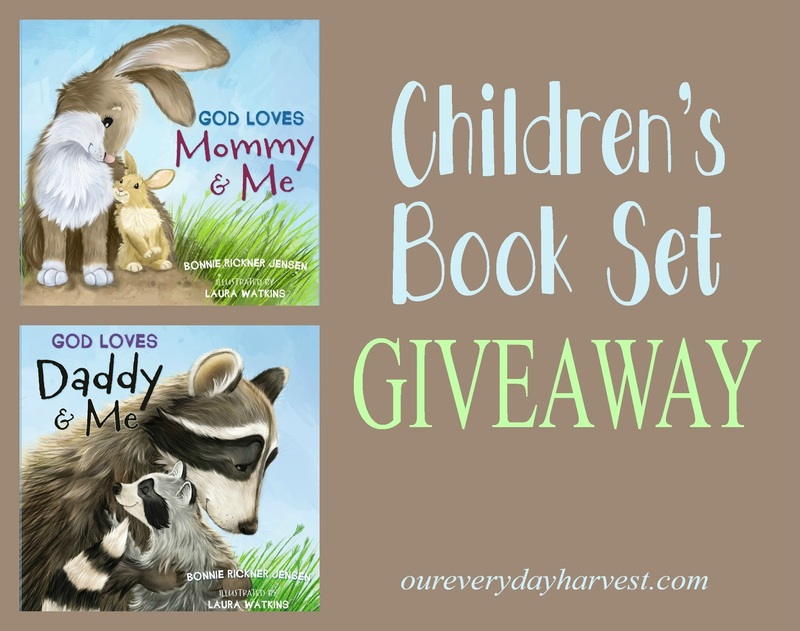 I'm happy to be sharing a reader giveaway! One winner will receive both God Loves Mommy and Me and God Loves Daddy and Me to share with the little ones in their life. To enter, please follow the Rafflecopter prompts, below.